Regenerative Medicine Today welcomes Professor Paul Fairchild. 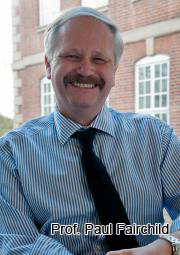 Dr. Fairchild is a RCUK Academic Fellow and the Former Director of the Oxford Stem Cell Institute. Dr. Fairchild discusses his research in developmental and stem cell biology. He also discuses his work with the Journal of Immunology and Regenerative Medicine. For more information about Prof. Fairchild, please click here.